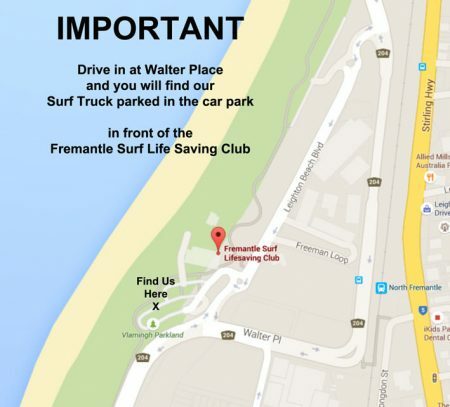 Drive in at Walter Place and park in front of the Surf Club/ Bib & Tucker Restaurant & you will see our Surf Truck parked in the car park. 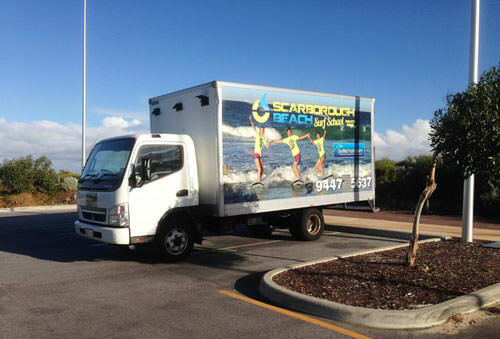 * It is up to you to be on time for your pre-booked Surf Lesson. 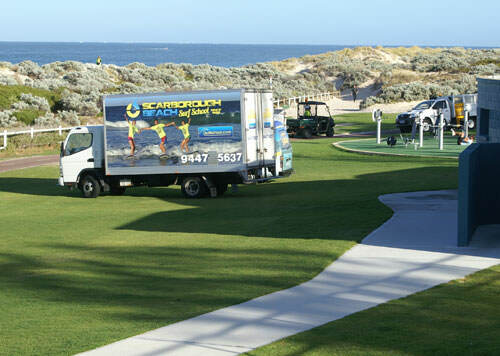 Unfortunately people who are late (for whatever the circumstance), will miss their lesson – as we will be in the water and can not go back to the truck.